It’s hard enough to fit all of your stuff in some cardboard boxes when you are moving, but there are a slew of other things you need to consider. From updating your address to finding new neighborhood go-to spots, things can get pretty overwhelming. 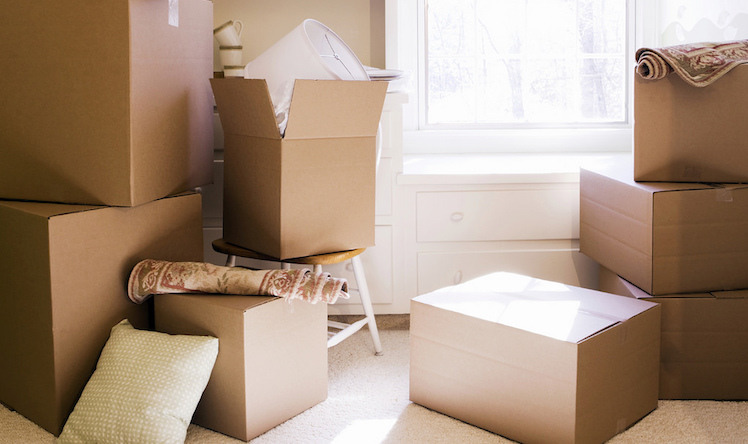 Whether you are moving down the street or across the country, here are some tips on how to make any move a little more manageable. Find a moving company. While you might luck out, don’t rely on being able to book a reliable moving company days before. Consult Yelp for reviews (or even deals) and get in touch with potential movers weeks in advance. If you just can’t rid yourself of your last-minute tendencies, Lugg (currently in the SF Bay Area) offers on-demand moving. Simply request a moving truck like you would with an Uber, and movers will be on their way in minutes. Change your address. There are a handful of places where you will need to update your address, but if you fill out a “change of address” form with the US Postal Service, you should be able to tackle many of them all at once. You’ll also want to update any delivery services, subscriptions or other important files or documents (like with your bank or credit card company). Check out new insurance options. Before you move, find out if you are still covered by your current insurance policy (both auto and home) or if you need a new policy. This is a good time to shop around, as your new zip code could reveal new savings. If you anticipate that you will be driving less than you currently do, Metromile’s pay-per-mile insurance offering could be a great way to save! Get registered. In addition to updating your insurance, you’ll also need to register your car (and get a new driver’s license) if you’ve changed states. And especially important for 2016, it’s important to make sure you are on the voter’s registration for your new local area. You should do this even if you’ve just moved to the next city over.